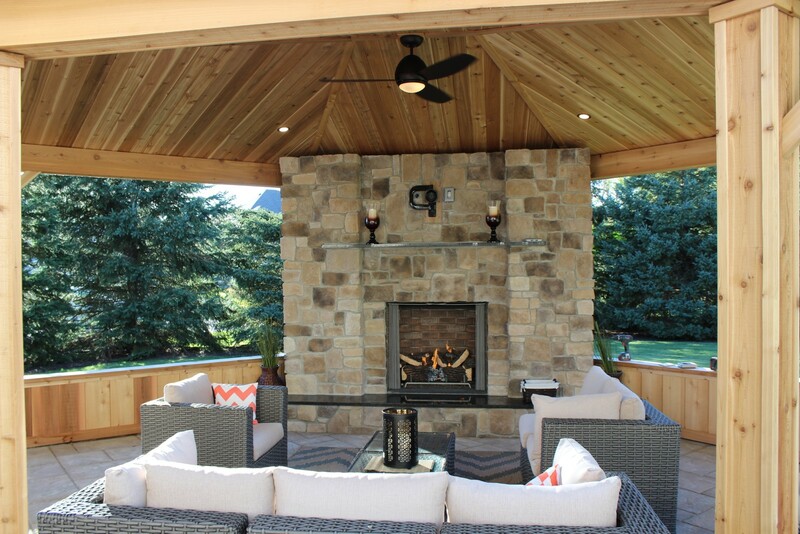 Light up your landscape and enjoy the warmth. 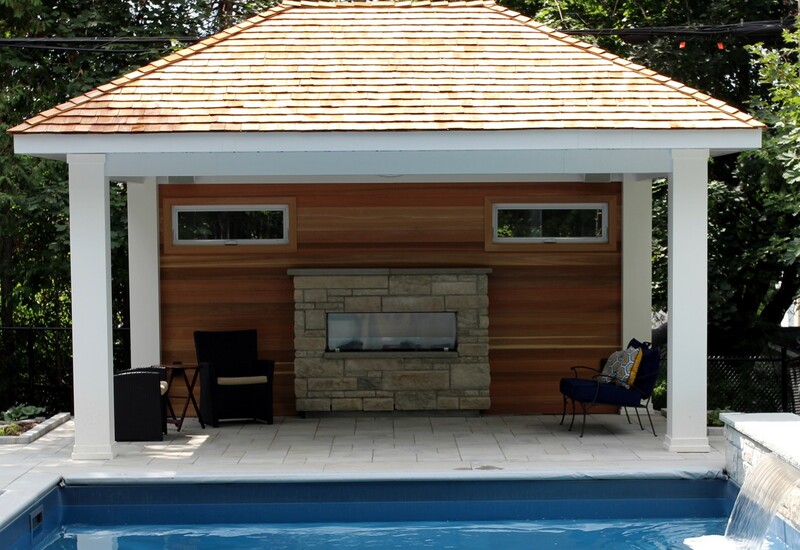 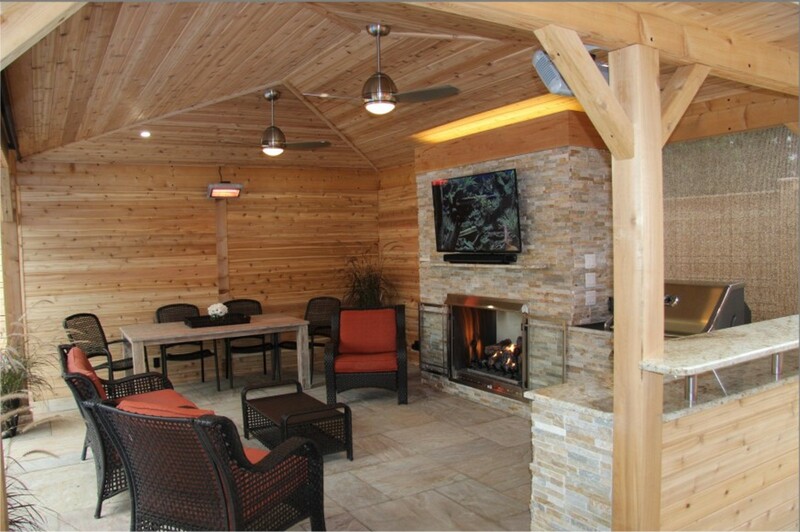 An outdoor gas fireplace offers traditional or contemporary style. 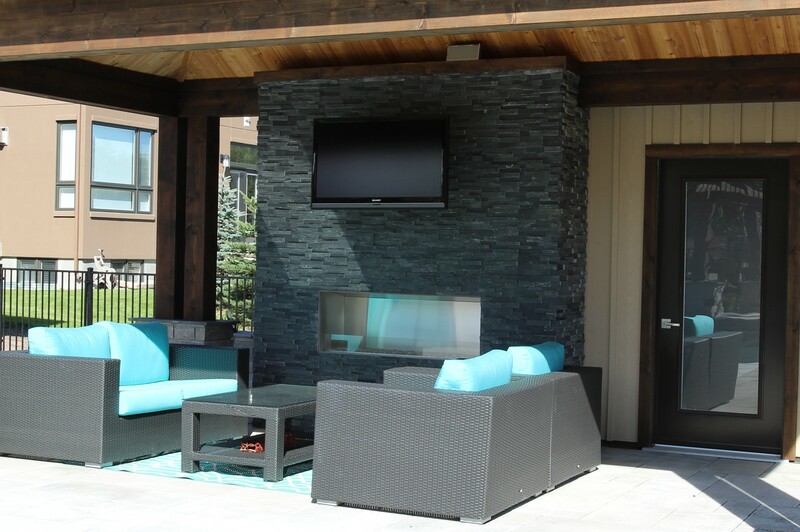 The night comes alive with glowing flames and an optional LED colorful firebed. 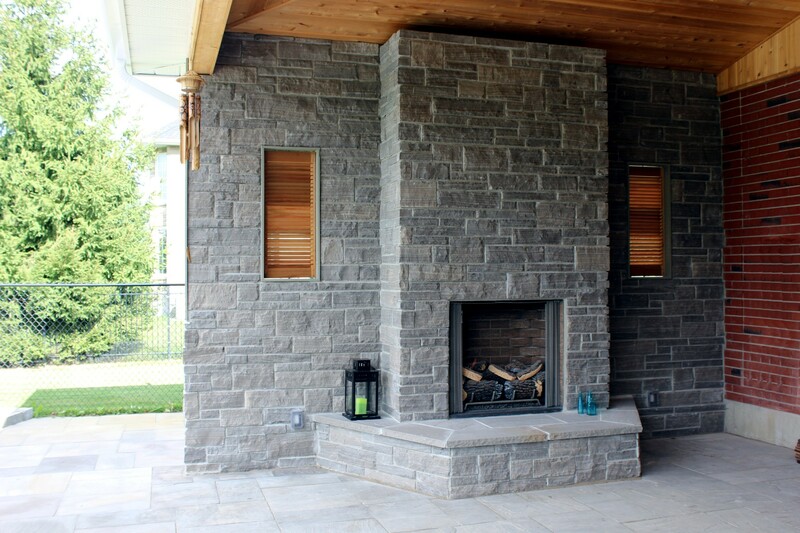 Fireplace constructed from cultured stone. 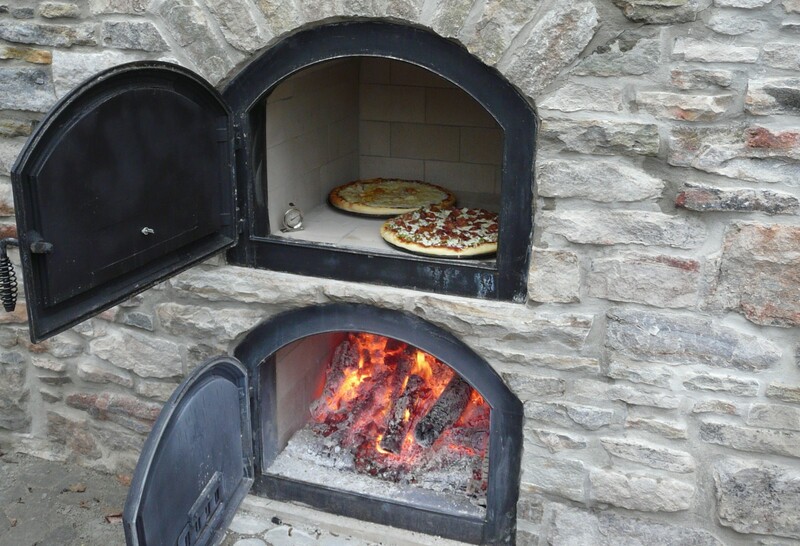 Fire burning pizza oven constructed from natural limestone.